Experience 4-star style and personalized service at the Lisbon Marriott Hotel. Located at walking distance from Católica Lisbon School of Business & Economics, a short distance from Lisbon Airport, Lisbon Marriott Hotel is ideally placed to provide guests with easy access to the entire city. Enjoy spectacular views of the palm tree garden and of downtown Lisbon from the private balcony in the beautifully appointed room, or stretch out and relax on Marriott luxury bedding. Citrus Bar & Restaurant's delightful menu features Portuguese and Atlantic cuisine and a robust selection of local and international wines; sit out on the restaurant terrace and enjoy the Lisbon sunshine. The hotel offer 577 spacious, air-conditioned rooms some with balconies overlooking the garden or the city. In-room amenities include high-speed Internet access and work desks with a telephone and safe. All rates are in Euros, per room and per night with breakfast and all currently valid taxes included, with the exception of the Lisbon city tax. Lisbon City tax is to be paid directly to the hotel(s). This tax has a cost of EUR 1,00 per person and per night, up to a maximum of EUR 7,00 per person and per stay. Located in a strategic area of Lisbon, 10 minutes both from the city centre and the airport, SANA Metropolitan Hotel is distinguished by its spacious, contemporary decor, a restaurant with a select range of dishes and attentive service. A cosmopolitan Hotel which offers special comfort for both leisure and business trips to the city, SANA Metropolitan Hotel is the ideal hotel for those who want to be close to major roads into and out of the city, and at the same time reach the centre of Lisbon. The large private car park, spacious and quiet area in front of the hotel and two floors with 12 rooms for meetings and events make the SANA Metropolitan one of the best options in Lisbon for accommodating large groups or organising major events and meetings. Spread over 12 floors, SANA Metropolitan’s 306 rooms and 9 suites are characterised by light tones and spaciousness, transmitting a feeling of tranquillity and comfort. Located in the centre of Lisbon, in the heart of Avenida José Malhoa, SANA Malhoa Hotel stands out for its contemporary decoration and comfortable atmosphere, and provides relaxed and healthy accommodation in Lisbon. 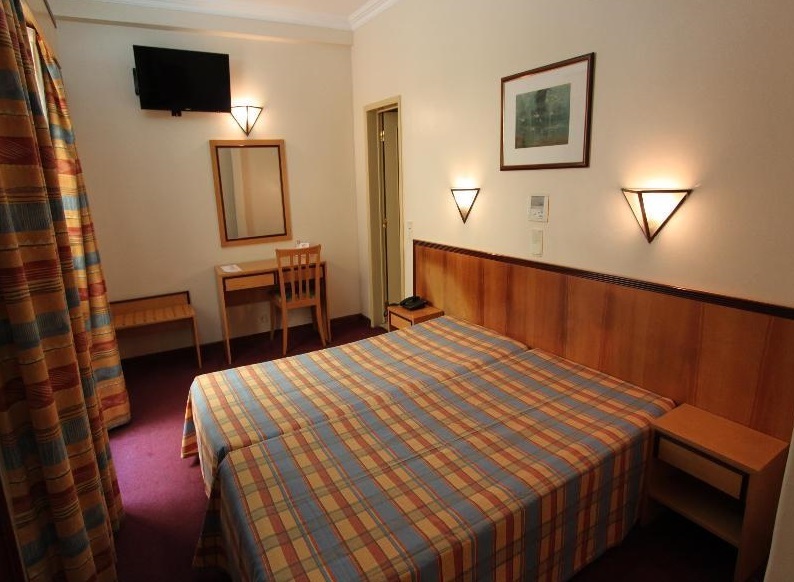 A few minutes’ walk from Praça de Espanha and El Corte Inglés, near various access routes and public transport connections and with a private car park, SANA Malhoa Hotel also offers added facilities for trips to business or pleasure trips to Lisbon: Health Club with gym, sauna, Turkish bath and Jacuzzi. Spacious, comfortable, pleasant and quiet, SANA Malhoa Hotel’s 181 rooms and 4 suites, spread over 9 floors, offer the rest needed to best take advantage of the day in Lisbon. The light-coloured wood, coupled with the size and lightness of the rooms, offer reinvigorating hours of rest and relaxation. The VIP Executive Villa Rica stands out for its exterior design whilst breathing light, nature and art in its interior, projected by renowned Architects Ricardo Boffil and Telmo Barata. The architectonic works of the Hotel, which differentiate it from the others, together with its offer of services; spacious rooms with sound systems, free Internet access (Internet cable not included) and marble bathrooms, Piano Bar, Garden Buffet to have a refreshing breakfast before starting your day, the News Café with a cafeteria offering light meals, a Health Club, make the VIP Executive Villa Rica the right choice for your stay in Lisbon. The size and tranquility of the 171 rooms, the brightness of the areas, the marble in the bathrooms, the design of the furniture, make this Hotel far from being just simple hotel accommodation, but your true home away from home. In the centre of Lisbon, SANA Reno Hotel offers a privileged location for those that come to Lisbon for business or pleasure: The underground station opposite the hotel allows you to reach, in just 10 minutes, both the historical centre, and the new area of Lisbon, Parque das Nações. With a classic style that characterizes the rooms, the lobby and bar, the SANA Reno Hotel stands out through its unique comfort, spaciousness and infrastructure. At the top of the hotel, the swimming pool allows you to enjoy the sun and heat of Lisbon and the sauna, relaxing after a day of leisure or work. SANA Reno Hotel offers 92 spacious and comfortable rooms, spread over 7 floors, which are characterised by their simplicity and classical style. Gat Rossio offers 71 rooms tastefully designed to make out your stay the most pleasant experience possible. All rooms are equipped with the highest quality beds to ensure your rest. The minimalist decor will make all troubles fade away, there’s no room for problems! Hotel Gat Rossio is situated in the center of Lisbon between Liberdade and Baixa Districts, within one minute’s walking distance from Praça do Rossio, the nearest metro station is Restauradores on the blue line. Located in the city center, facing the underground station (Parque), the Residencial Horizonte offers 53 rooms, recently renovated, all with private bathrooms, air conditioning, telephone with direct access, satellite TV, hairdryer and personal safe. Residential Horizonte in Lisbon, is a 3-star establishment, offering a quiet and warm family atmosphere, where the guest will feel at home, offering 24-hour front desk, concierge and porter service, newspapers, laundry, bar and living room. It is available internet service with wireless connection all over the residencial, free of charge. Its prime location in the city center, along with pleasant Parque Eduardo VII gardens, the shopping area and facing the Underground Station (Parque) provides a quick and convenient access to major points of interest. Any cancellation of accommodation received until the 31st January 2017 will be refunded after the event, minus EUR 25,00 of administrative fees. After this date no refunds will be made. “No-shows” will be charged in full.